Every student in grade 12 had to complete a number of volunteer hours in order to graduate. I thought I would pursue medicine, so naturally, I sought a position at St. Vincent’s hospital. At first, I was instructed to help in the geriatric wing, where I would serve the patients tea or coffee, and other refreshments, and talk to them or keep them company. I enjoyed doing this, and had many engaging conversations with the seniors and their family members. Eventually, this ward was closed down due to budget cuts, so I was assigned a new position at a different hospital, but also in the residential care facility for the elderly. The volunteer coordinator looked over my resume and realized that I could play the piano! So I was assigned to play piano for about an hour to the residents. She dug up a binder full of music from the 20’s-70’s and suggested I play those tunes because the residents would find them familiar and enjoy them. I hesitantly agreed, and went home nervously. I decided to check out the local library to see if they had any music book collections, and I was pleasantly surprised to see that they did! Long story short, this was my introduction to new music, stuff that I had never heard before, but the more I learned and played the pieces, the more I enjoyed the sounds from this era, and the more inspired I was to continue to learn music! This piano teacher and his wife both taught music. They had two sons, so naturally, both sons grew up in a musical environment. The elder son he forced to practice and complete an exam in practically every level of piano. This son grew up attaining high marks in piano, alas, never returned to the piano after completing his final exam. For his second son, the father changed his approach: instead of forcing his second son to take every exam, he allowed his son to play different pieces and have more freedom. In fact, this son ended up only taking one exam – the highest level. He passed with flying colors. But what is most interesting is that this second son attended a music camp one summer, where he was inspired by his peers. He began buying music from stores and listening to great performers, and listening to which performers played brilliantly, and which performers played mediocre performances. This further motivated him to continue his musical education, and he did – completing a Bachelor and Masters in music at Julliard and is now an amazing concert pianist touring the world, by the name of Ian Parker. I’m writing this blog to encourage all music teachers and parents out there…don’t give up because the final payoff is worth it! 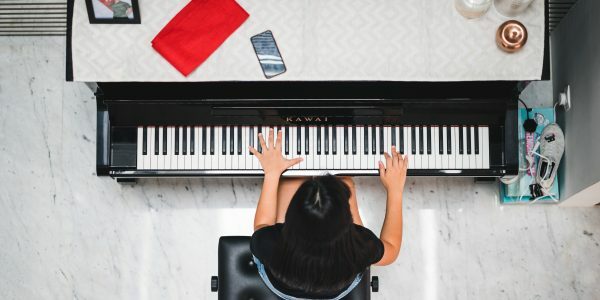 If someone is not working out because the teacher is not a good fit with the student, or because a child is too heavily scheduled in activities, or there are too many other distractions, it is possible to make a change in order to preserve the student’s continuation in music lessons. Previous Post But I don’t like to practice….PART2! Thanks Clarisa! Glad you liked reading it!